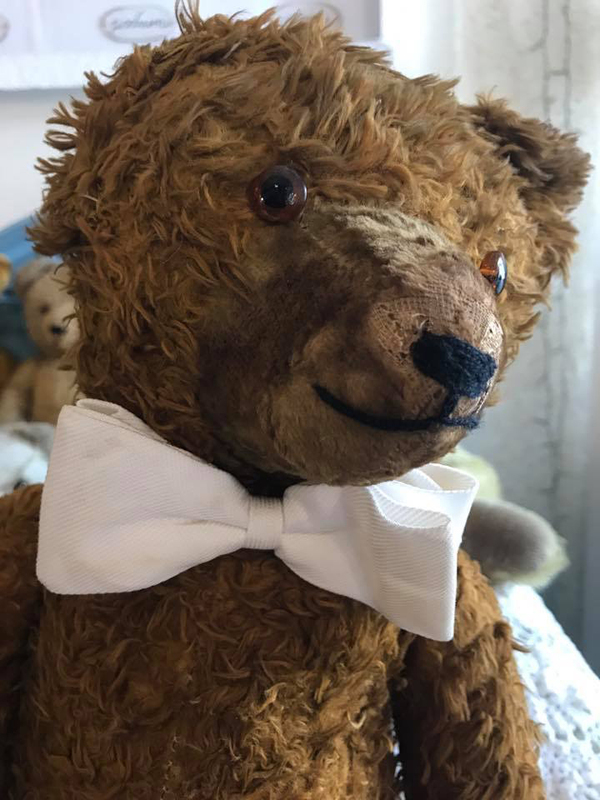 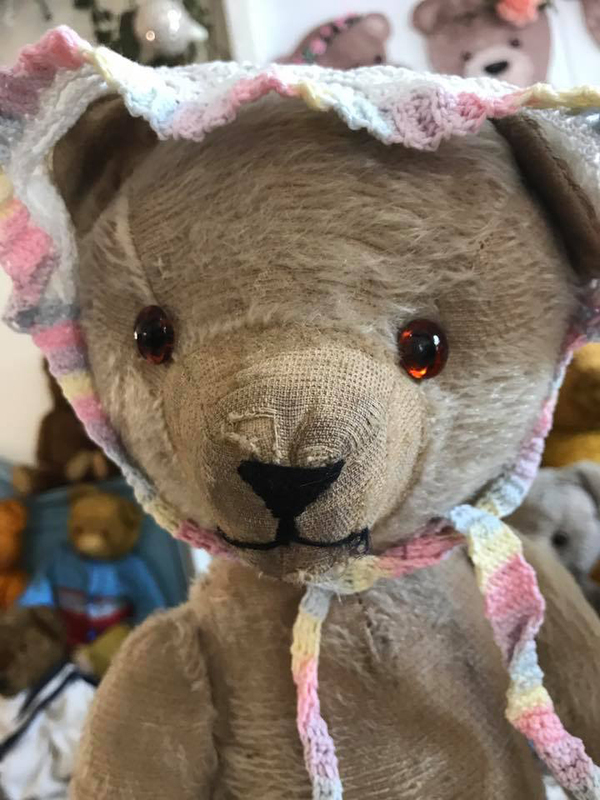 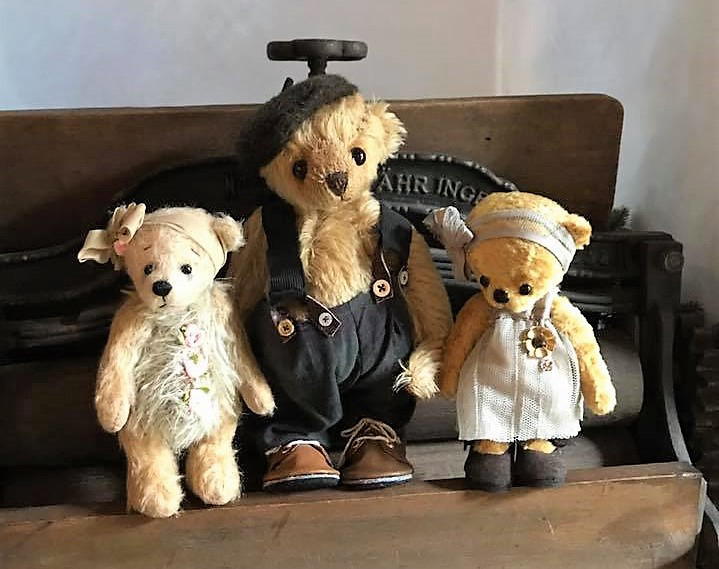 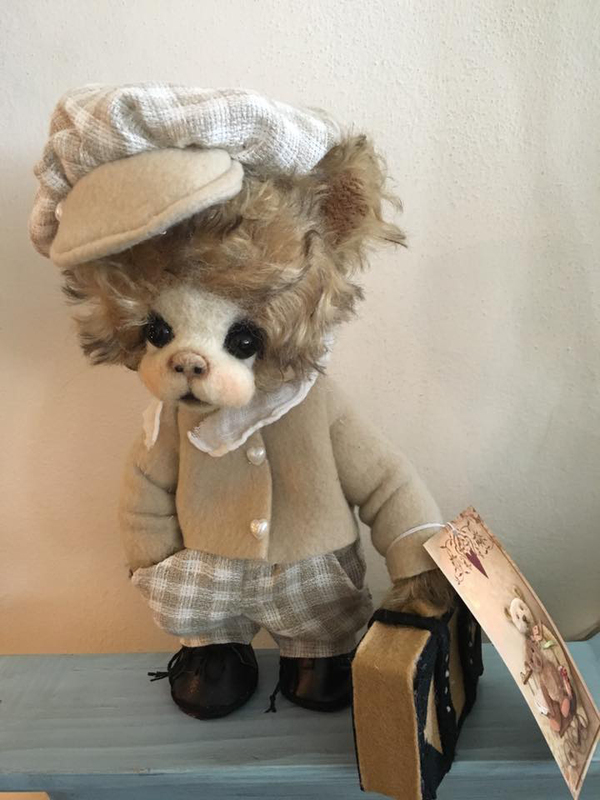 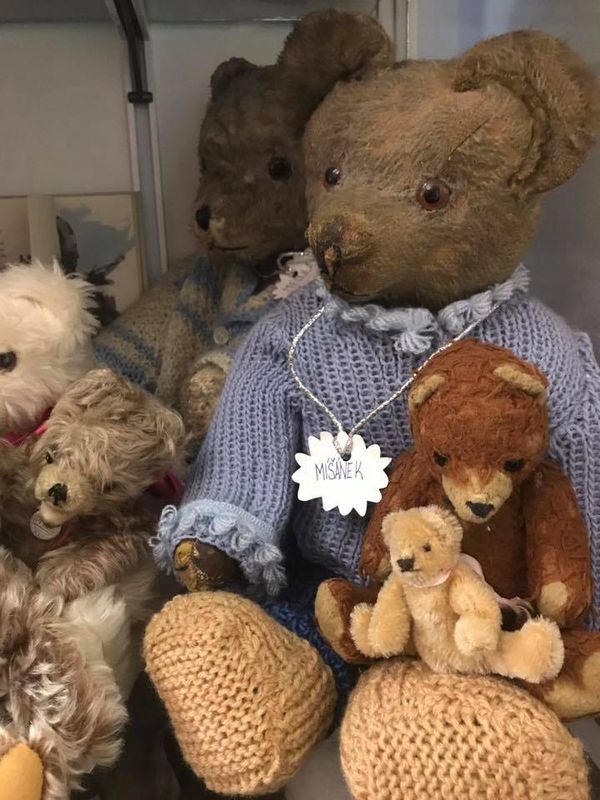 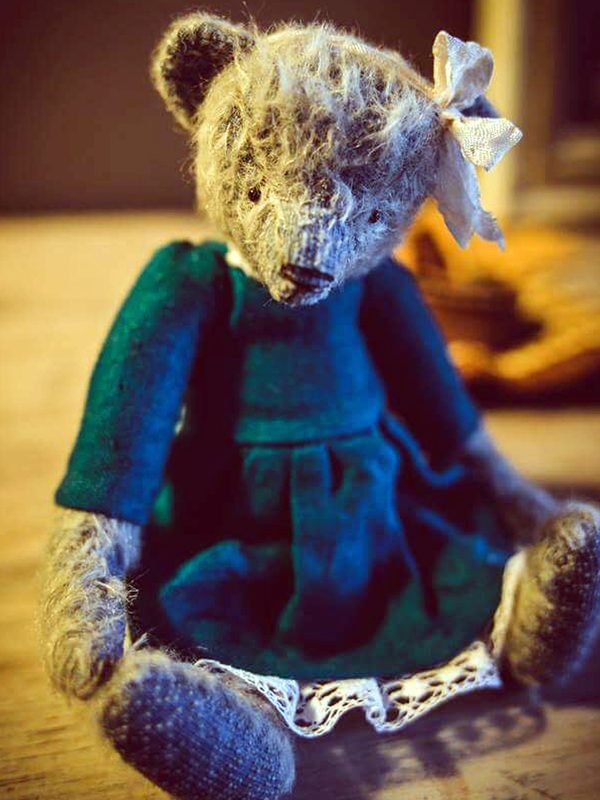 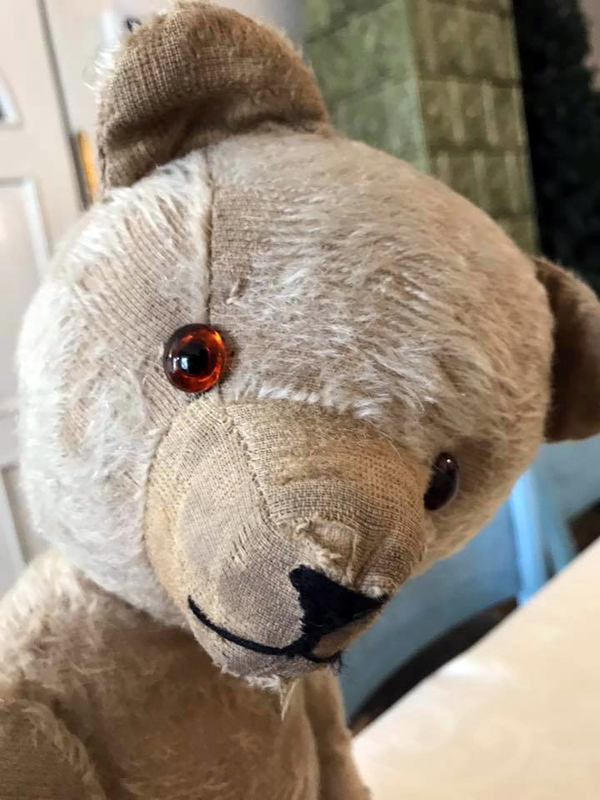 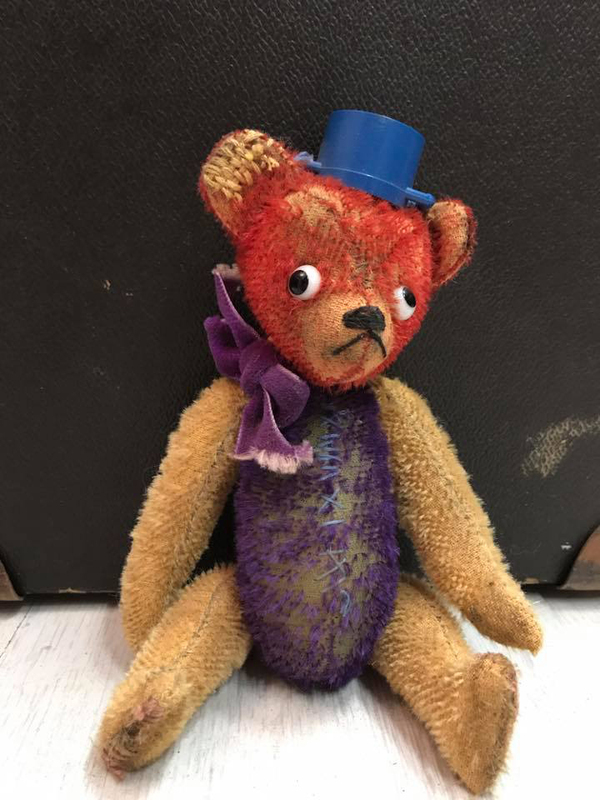 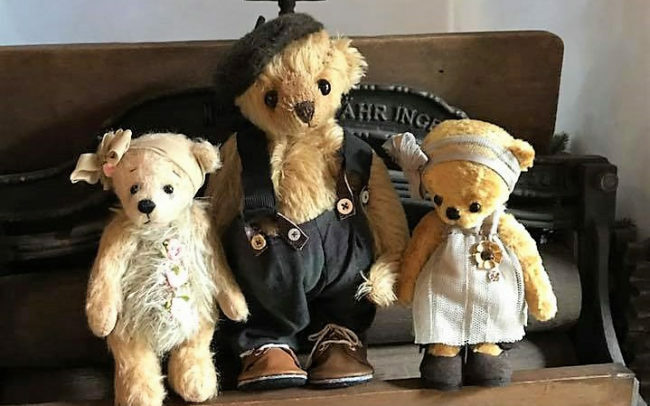 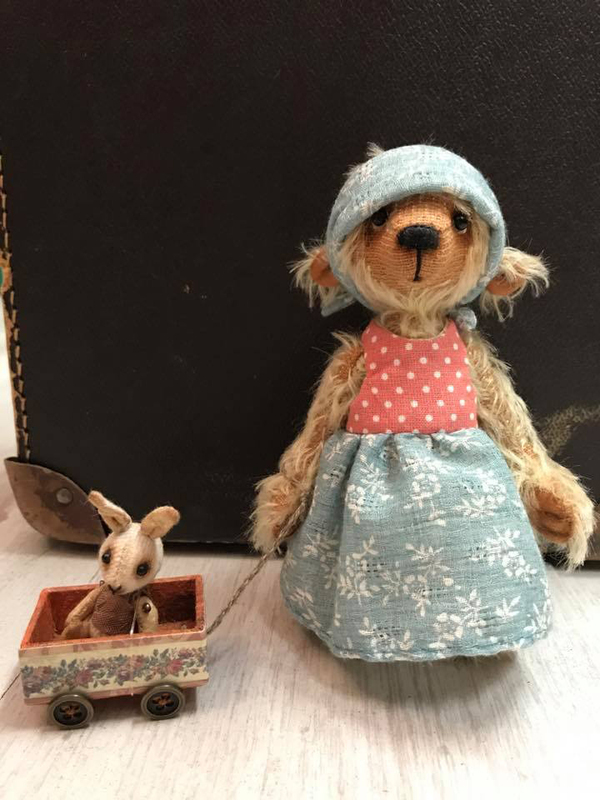 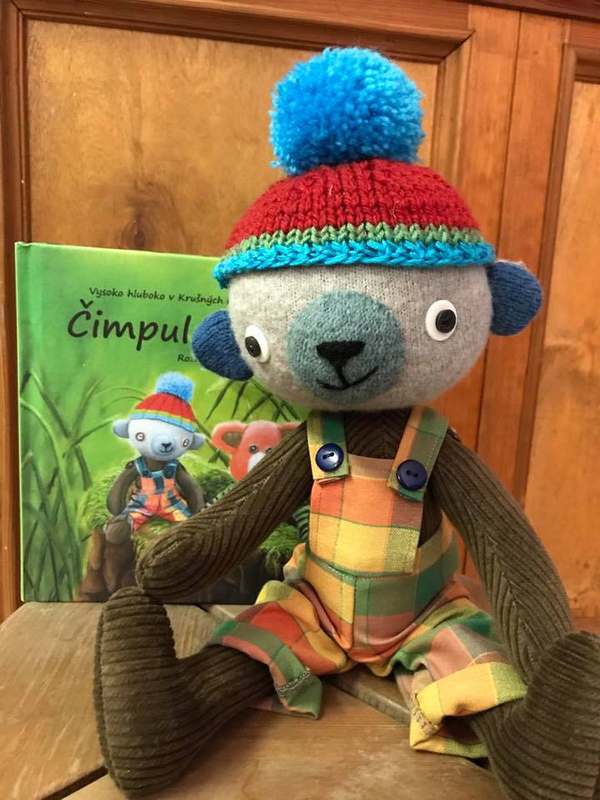 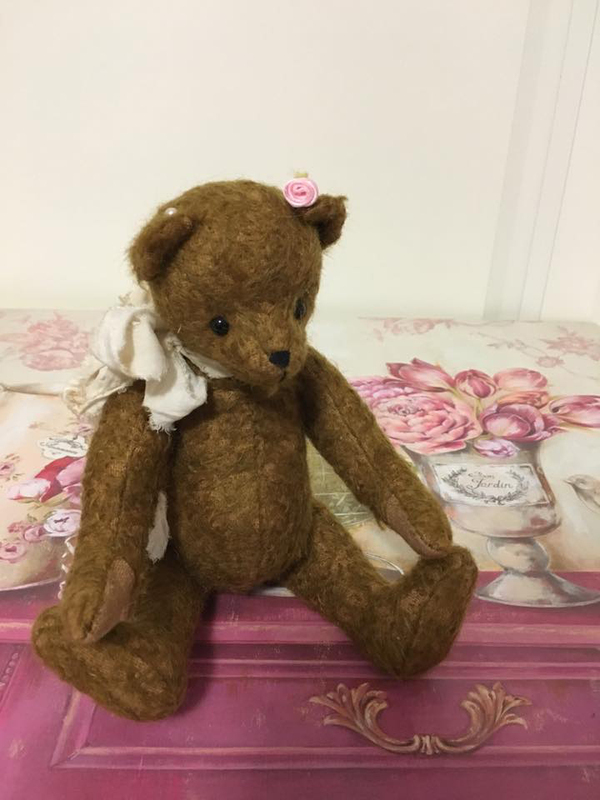 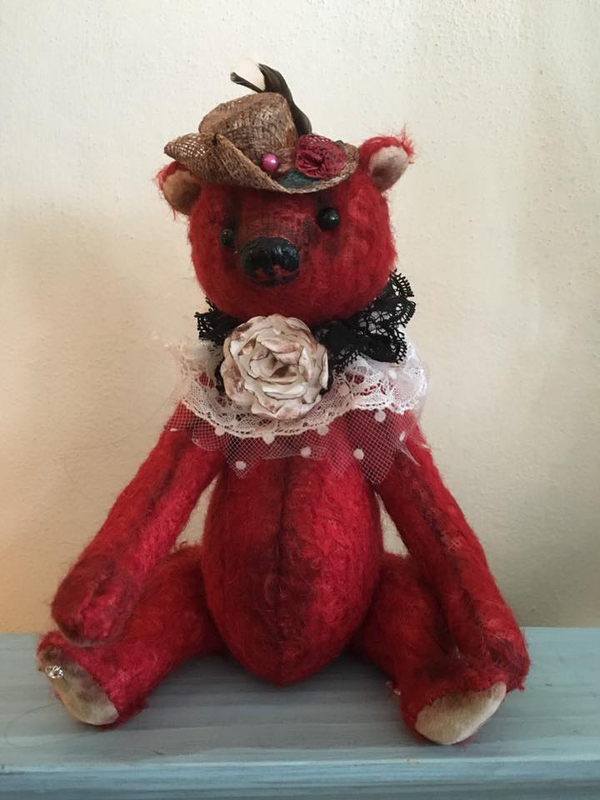 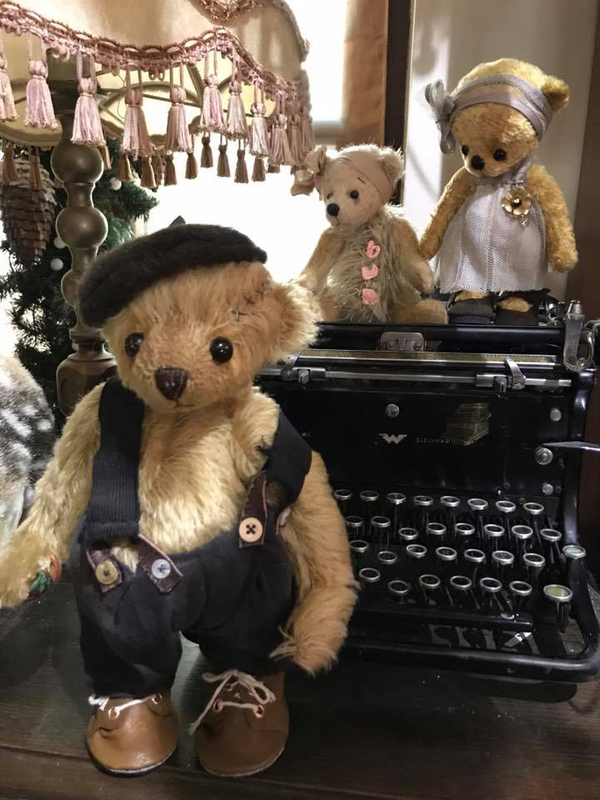 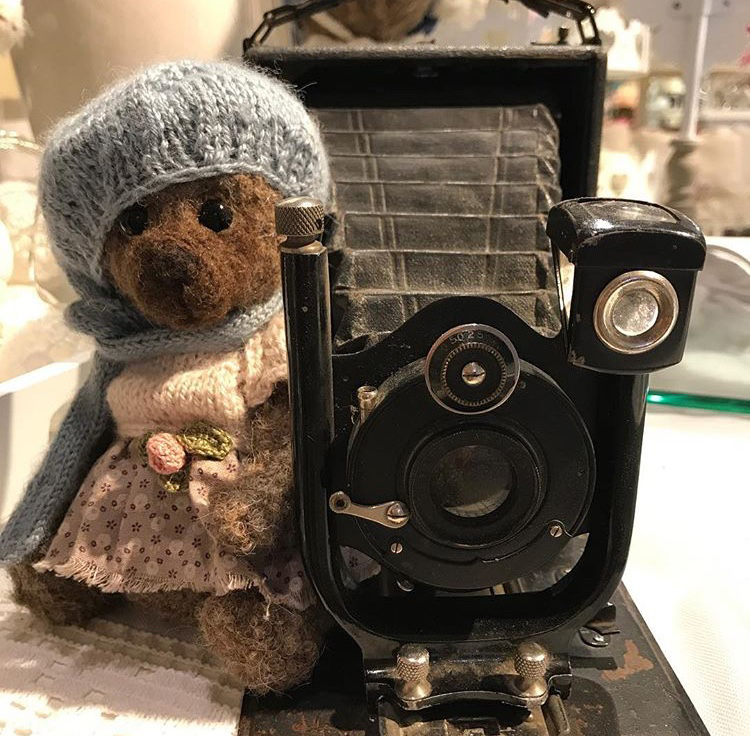 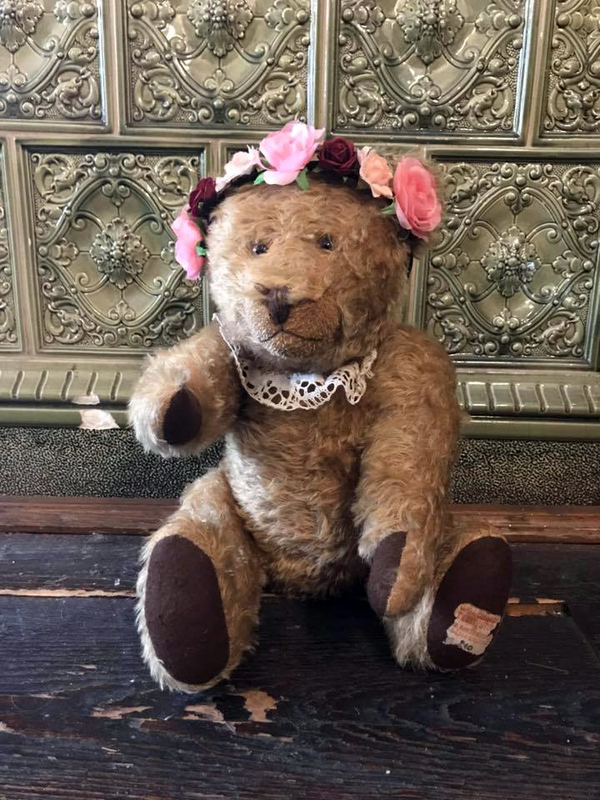 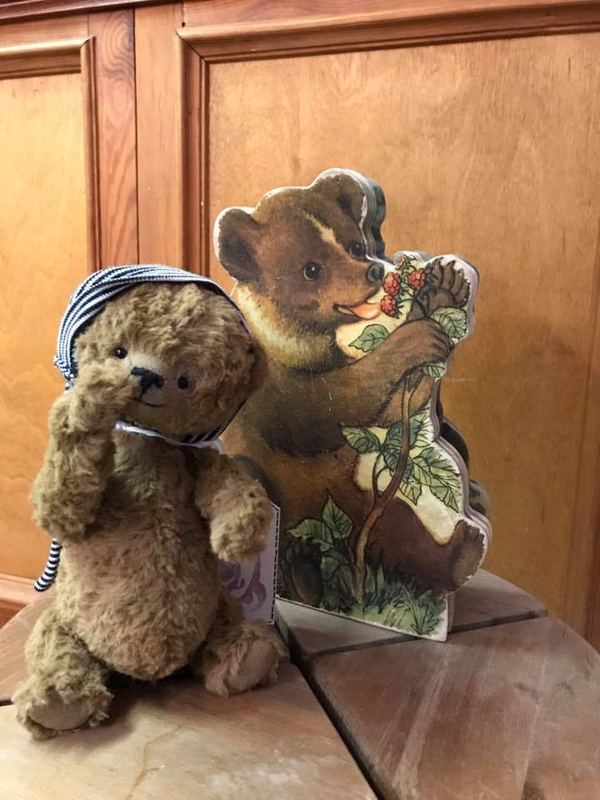 we regret to inform you that this year, the Teddy Bear Festival will not include an exhibition of handmade, collectible bears. 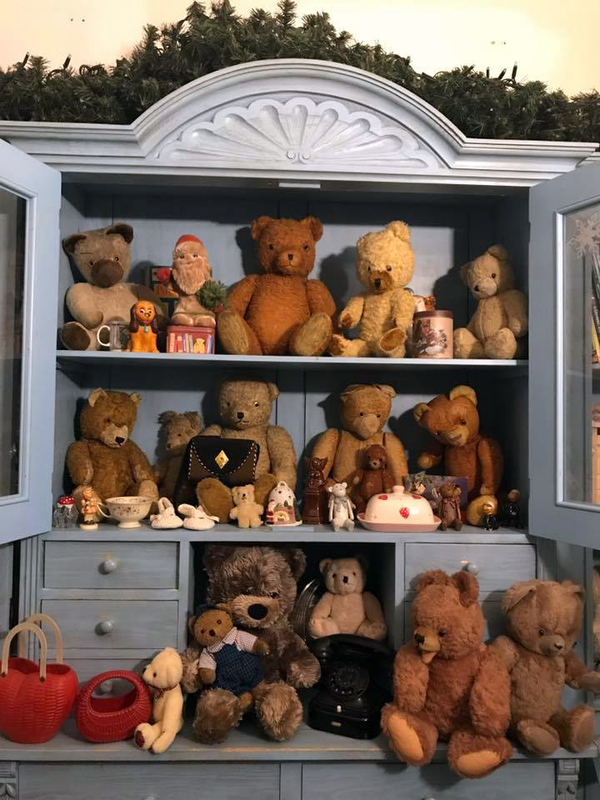 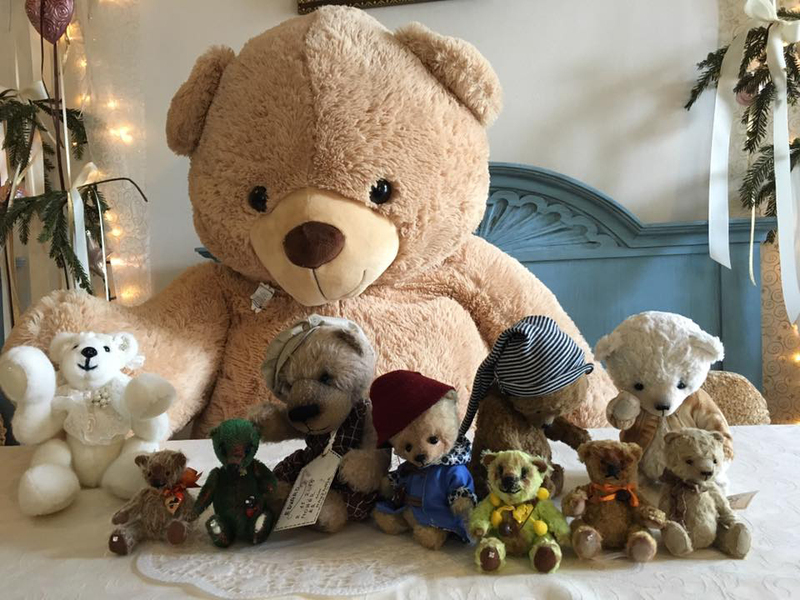 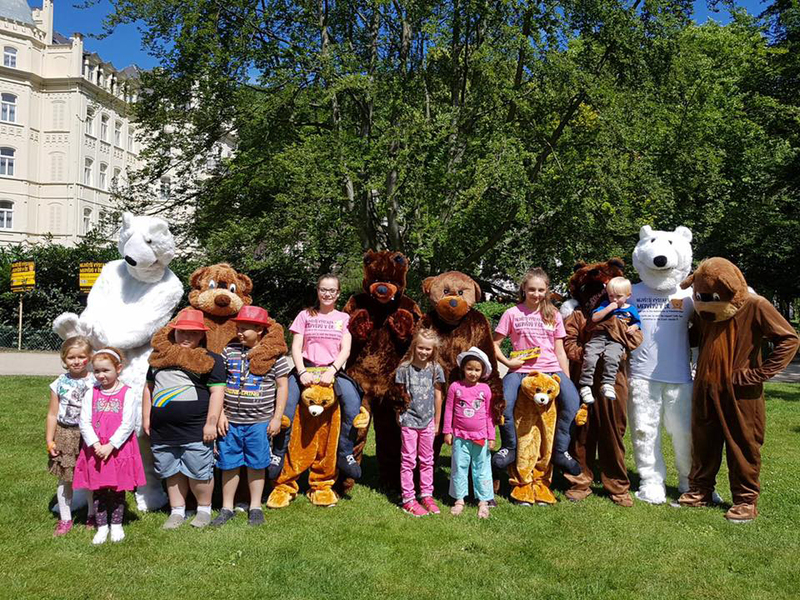 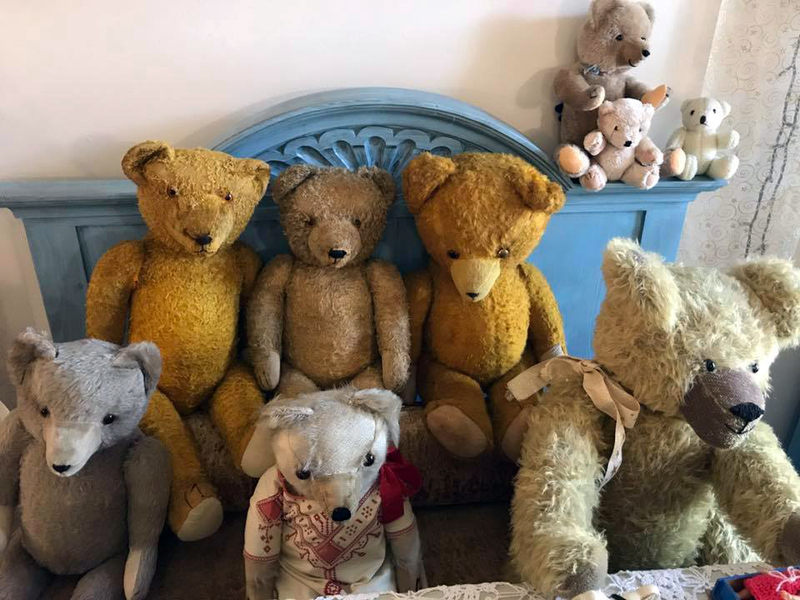 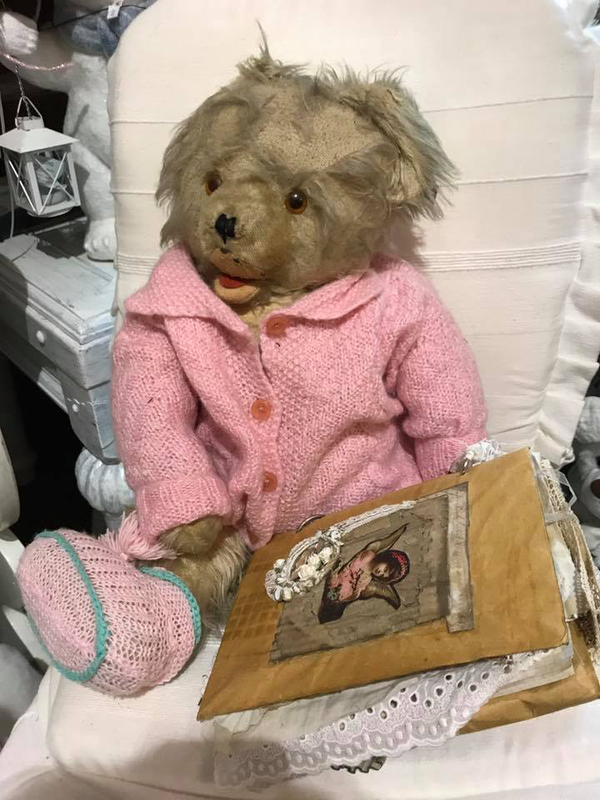 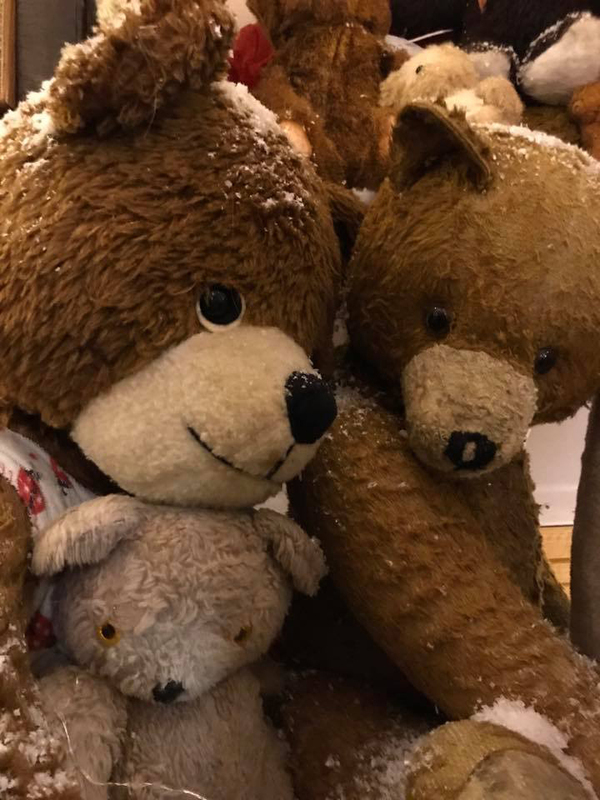 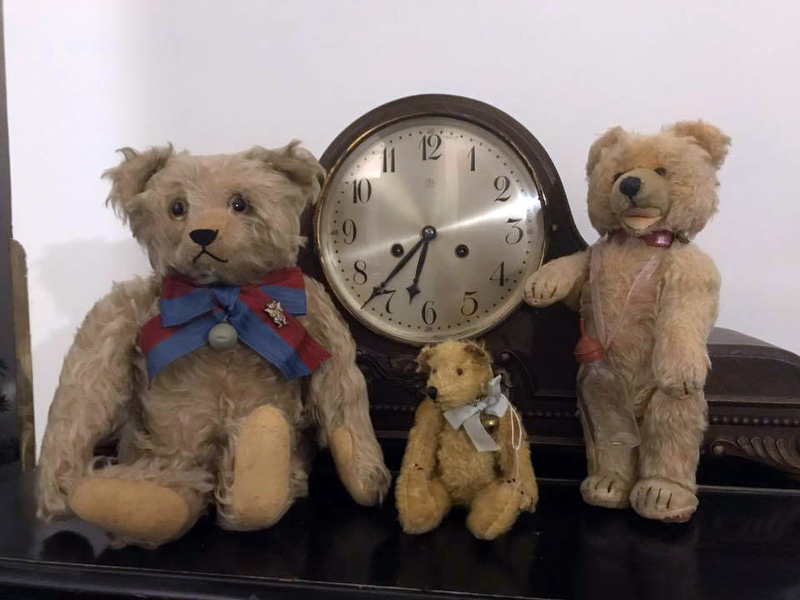 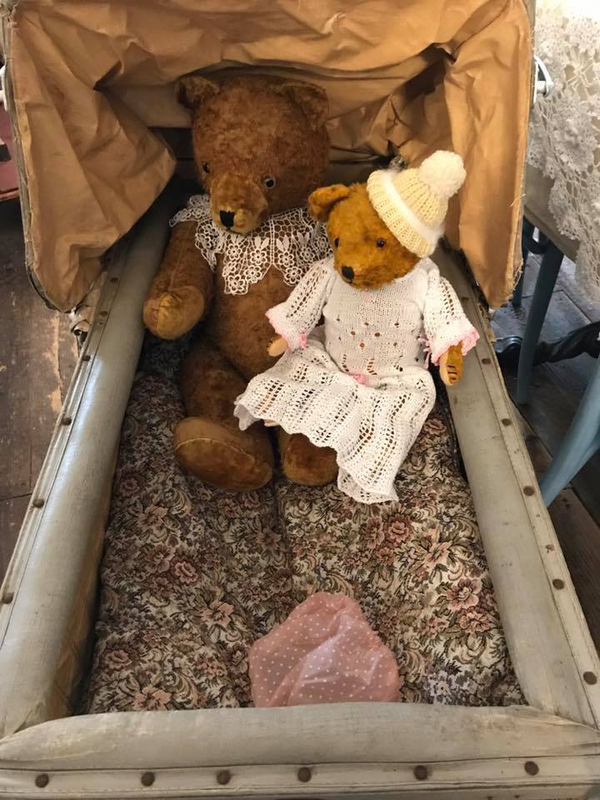 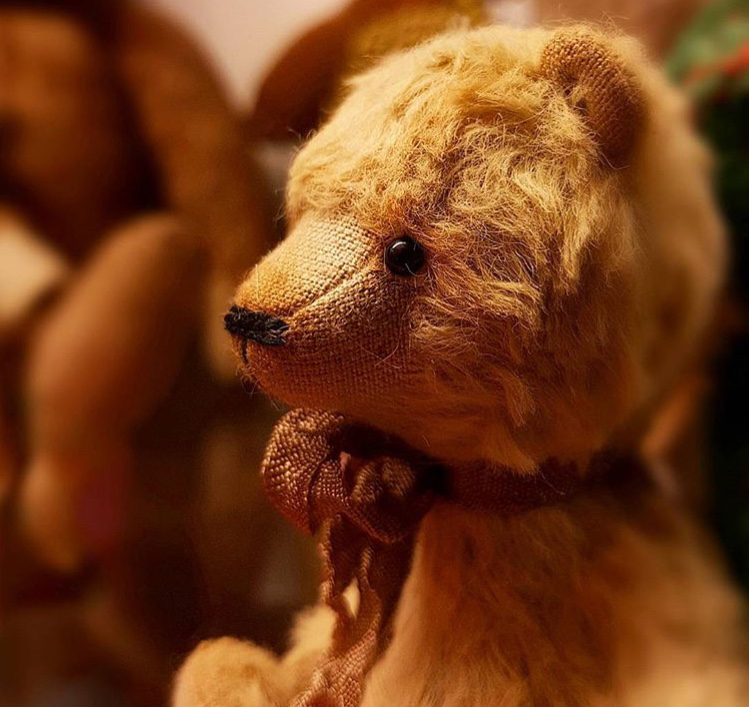 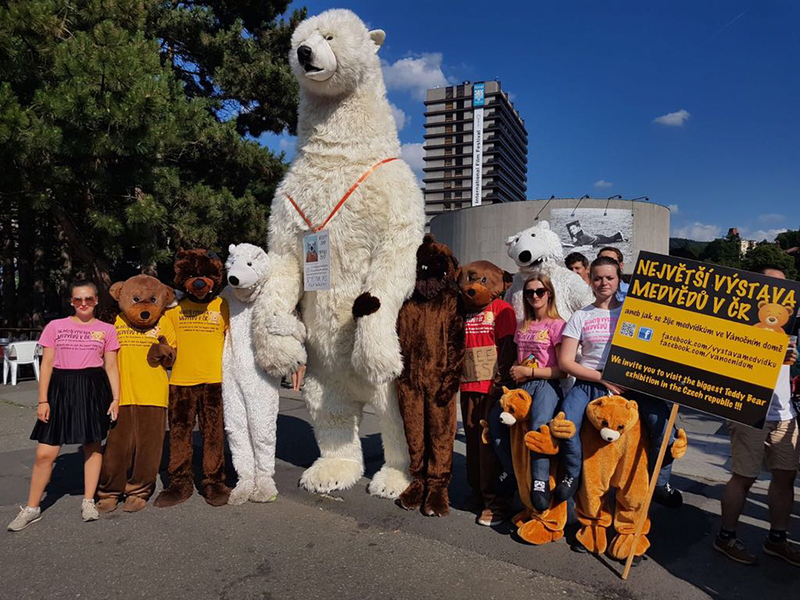 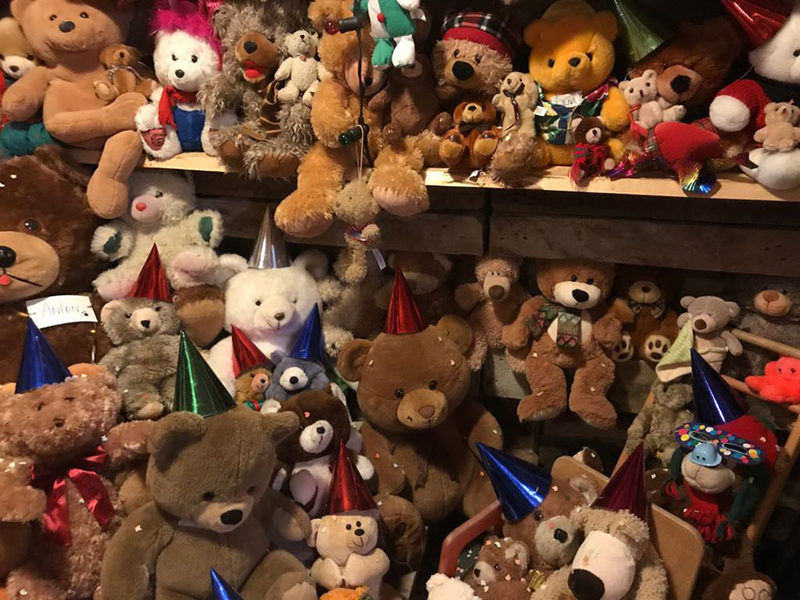 We filed an application for the Guinness Book of Records but all conditions connected with the recognition of the “Most Teddy Bears in One Place” record are so complicated that we would not be able to organise the exhibition perfectly. 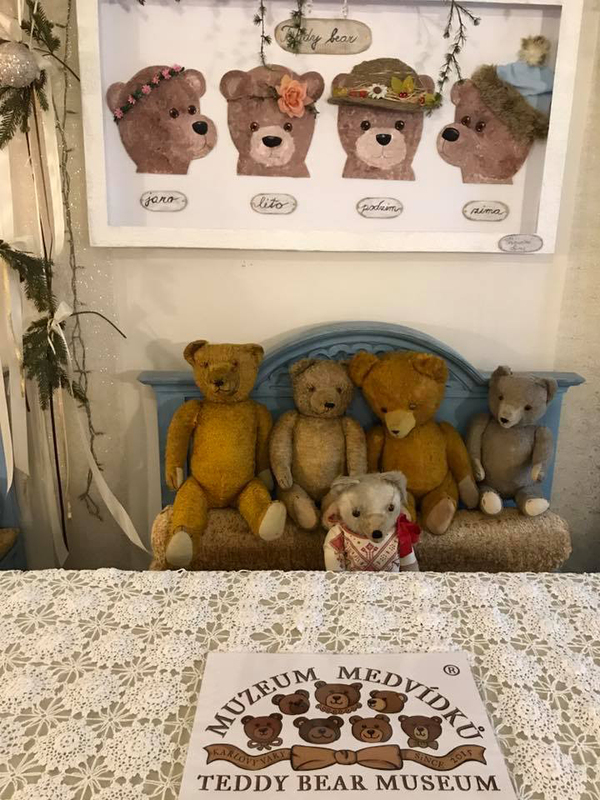 Thank you for your understanding, and we hope that you will still favor us. 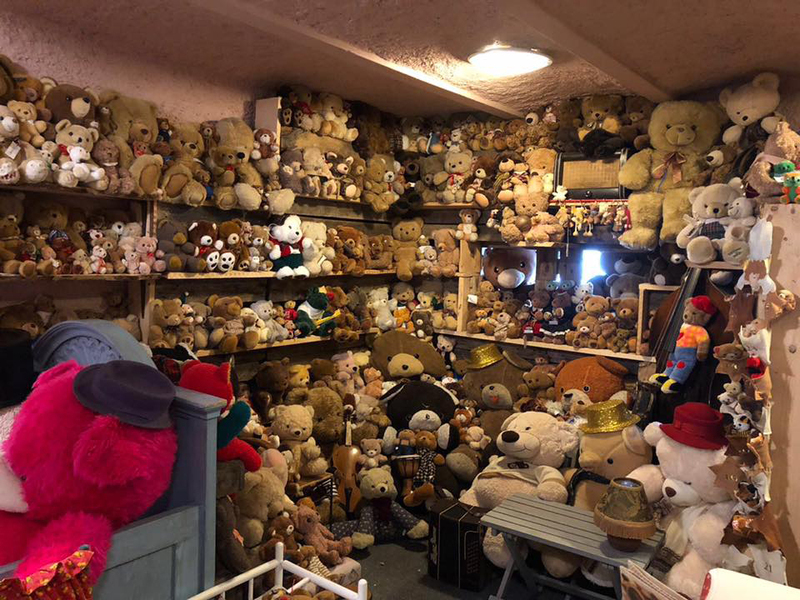 in the CZ, more than 10000 teddy bears! 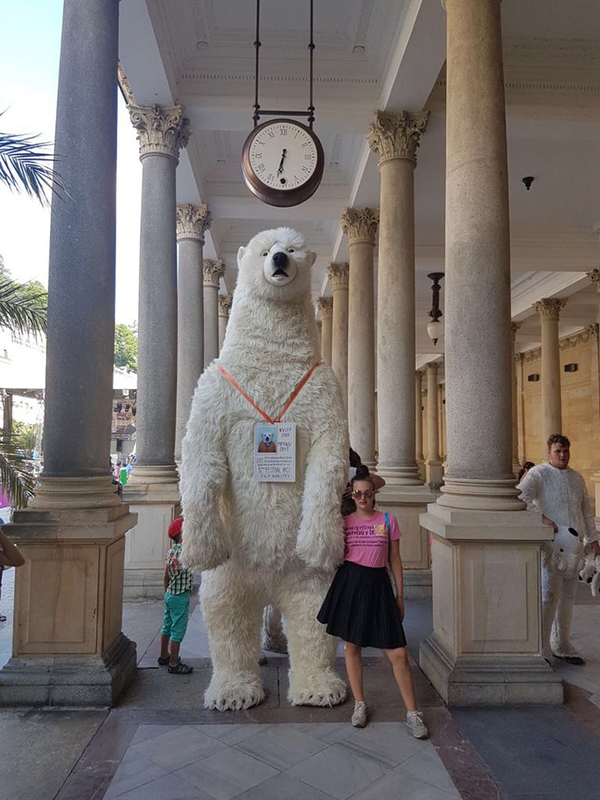 The biggest teddy bear 5m and 200kg. 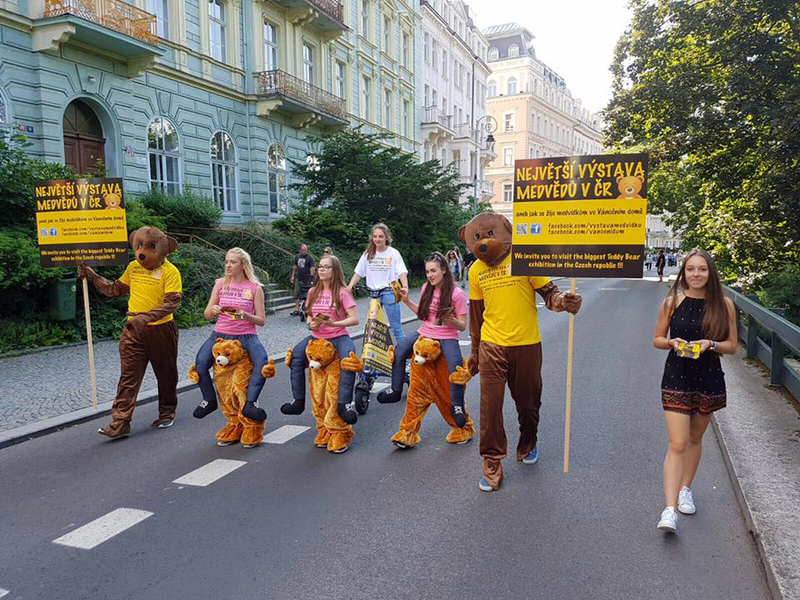 Join us and and break some RECORDS! 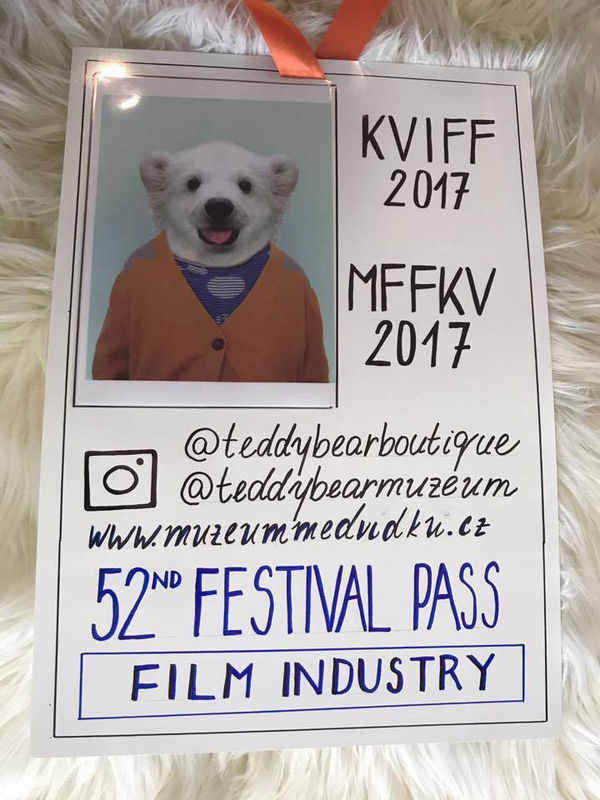 Come and enjoy yourself and experience something unique! 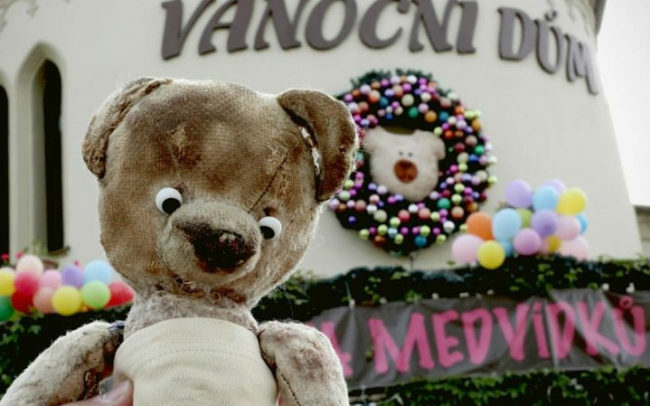 Experience the Teddy Bear and Doll Festival TOGETHER WITH US! 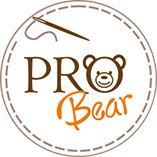 Apply for news, discounts and gifts ! 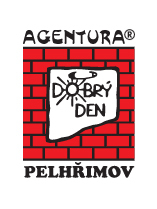 The agreement with processing of personal data and direct mailing of information about events and gifts via email. 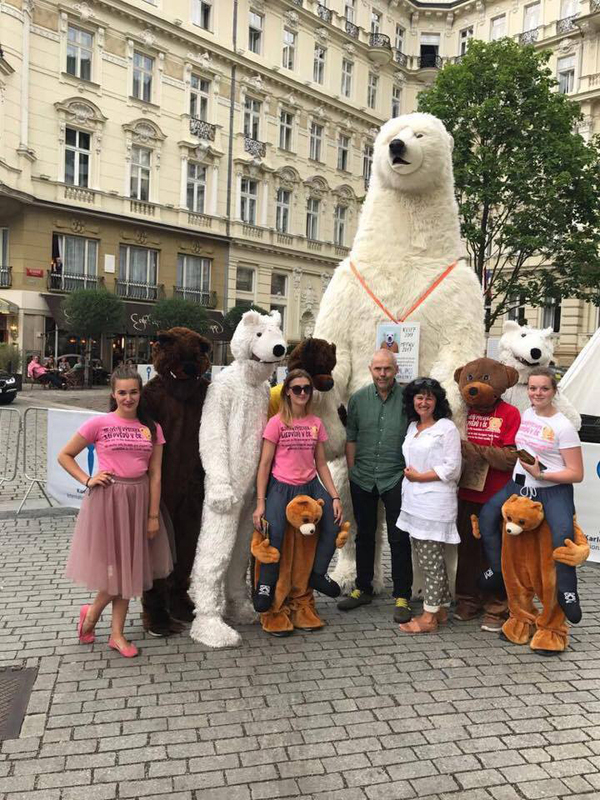 This consent is given for an unlimited period of time but each participants can withdraw from receiving them free of charge at any time. 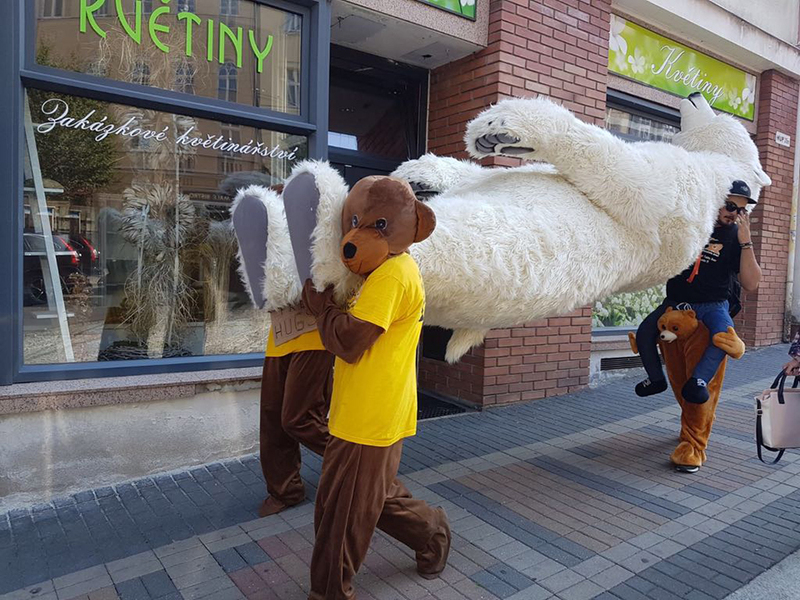 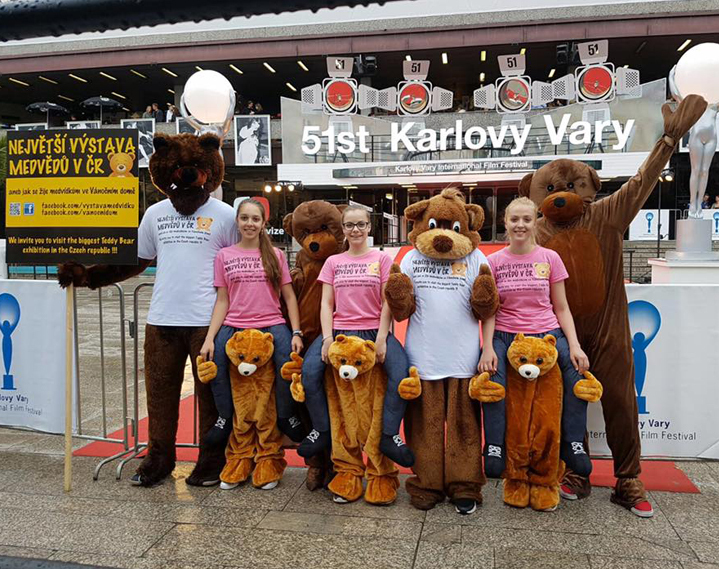 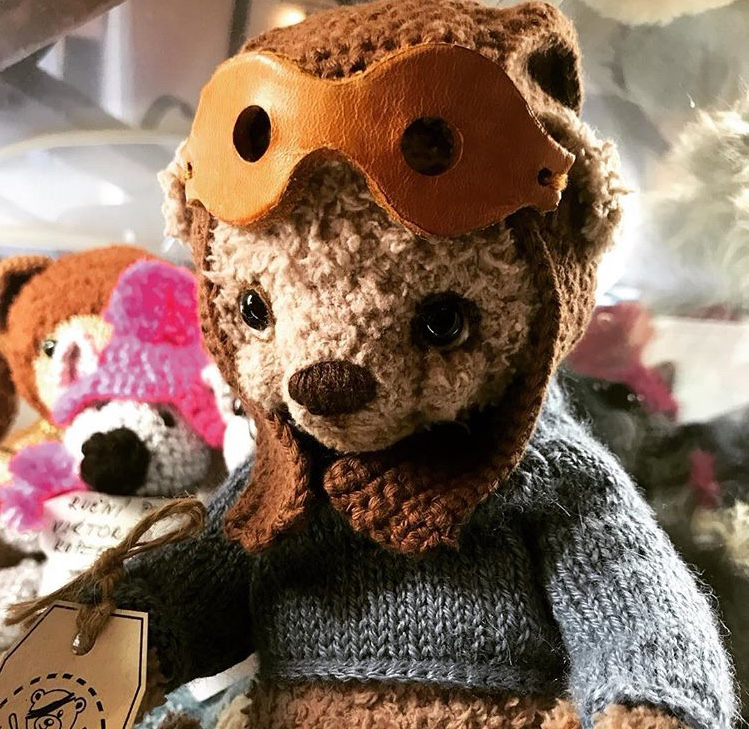 Jiřina Regietová – the operating manager of the Christmas House and the owner of the largest collection of teddy bears in the Czech Republic, decided to hold the International Teddy Bear Festival in Karlovy Vary. 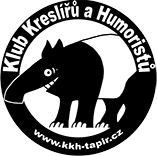 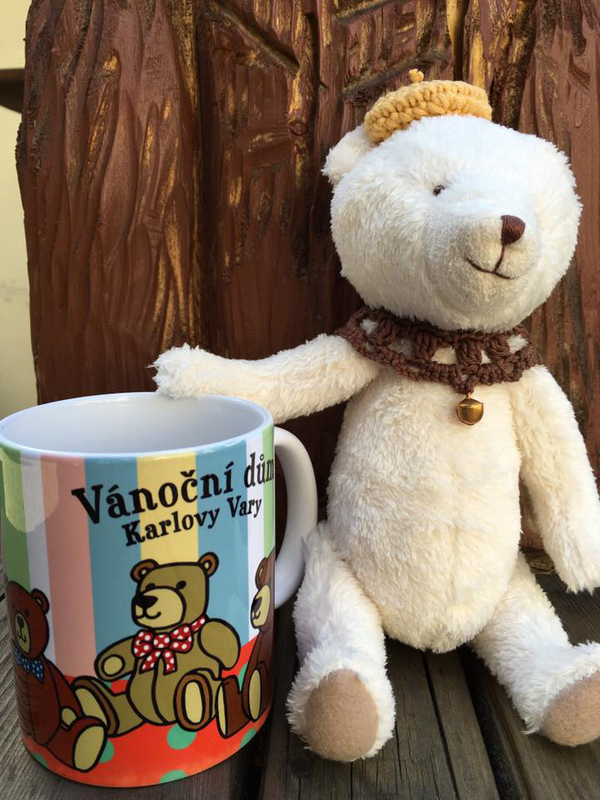 It will be the very first festival of teddy bears in the Czech Republic. 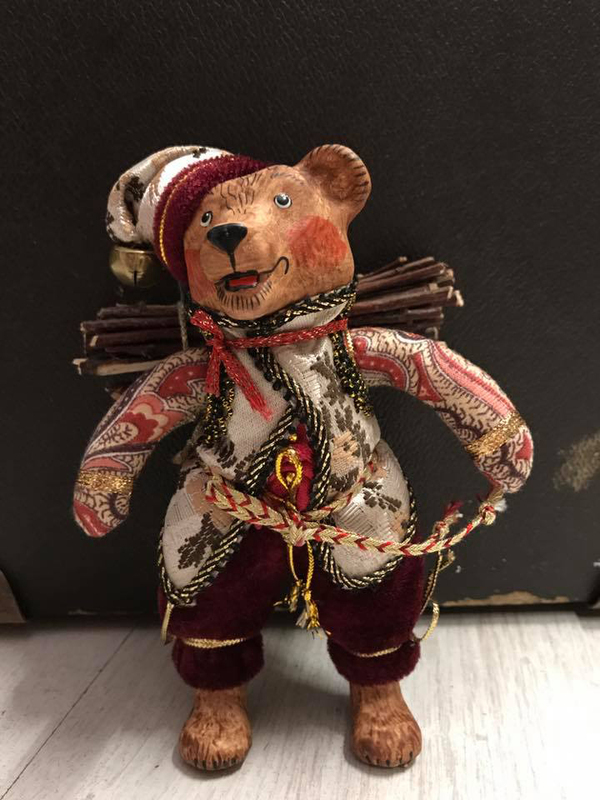 Such festivals have been celebrated as a tradition in the neighbouring countries. 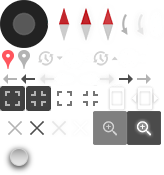 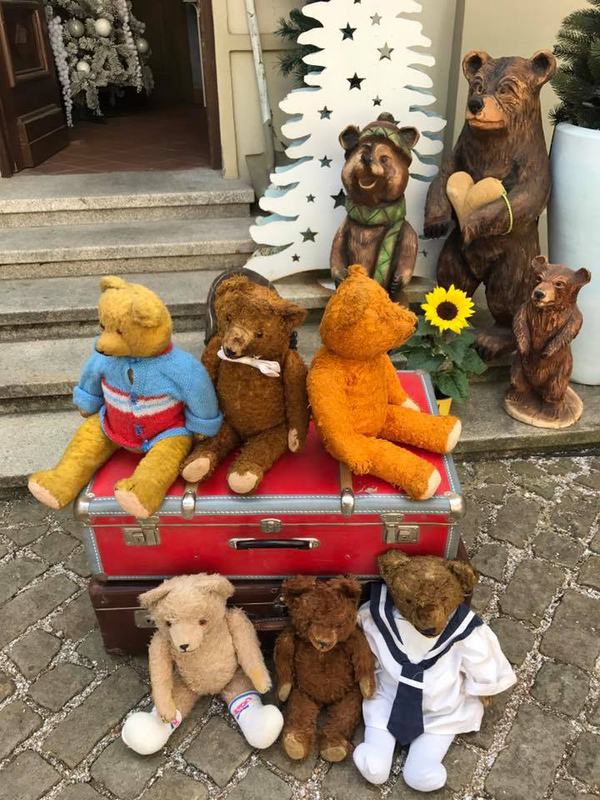 They are very popular in Germany, England, the USA, Russia, Austria and other countries. 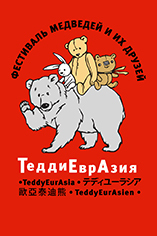 The main objective of the festival is „to celebrate“ teddy bears as the most popular toy of all the times. 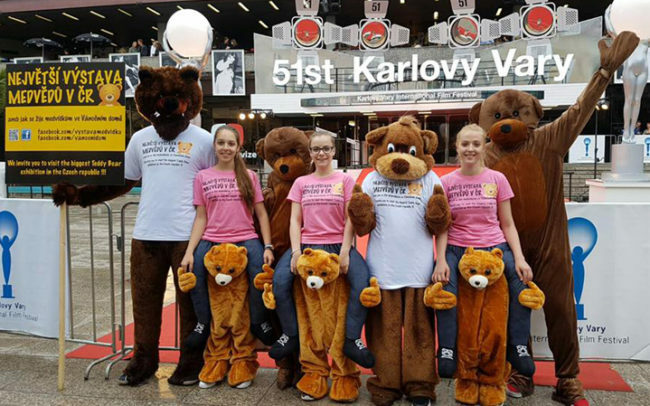 The high quality event of such an extent is guaranteed by over 25 years of experience in organizing of exhibitions. 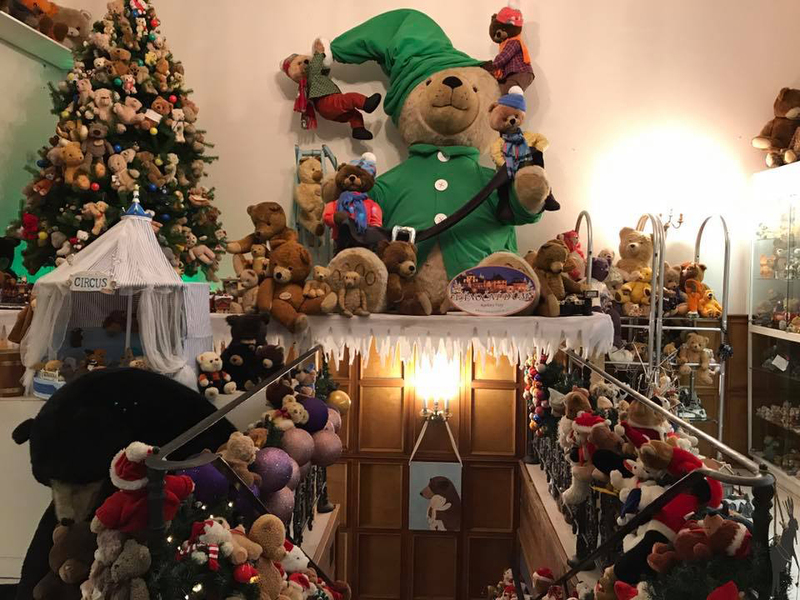 Another pre-requisite is a successful operation of the only Christmas House in the Czech Republic, which will celebrate its 10th anniversary this year and whose popularity has reached beyond the Czech borders. 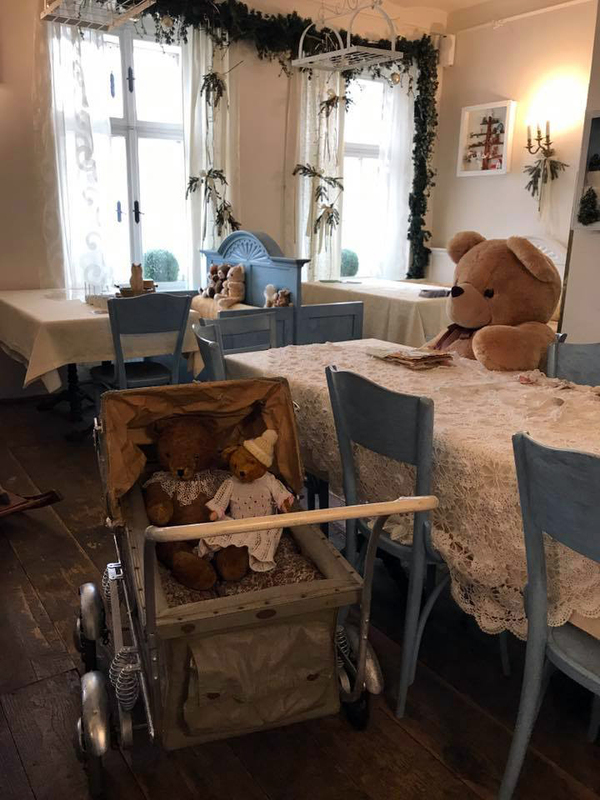 And it is the Christmas House, where Ms. Jiřina Regietová founded her Museum and the permanent exhibition of teddy bears. 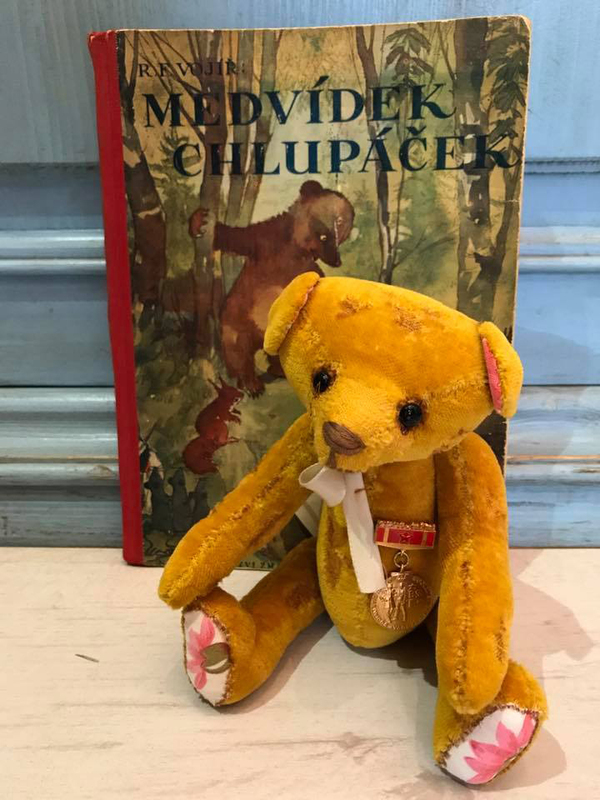 At present, the collection includes over 9000 exhibits and thanks to the owner, visitors and authors it has been growing continuously. 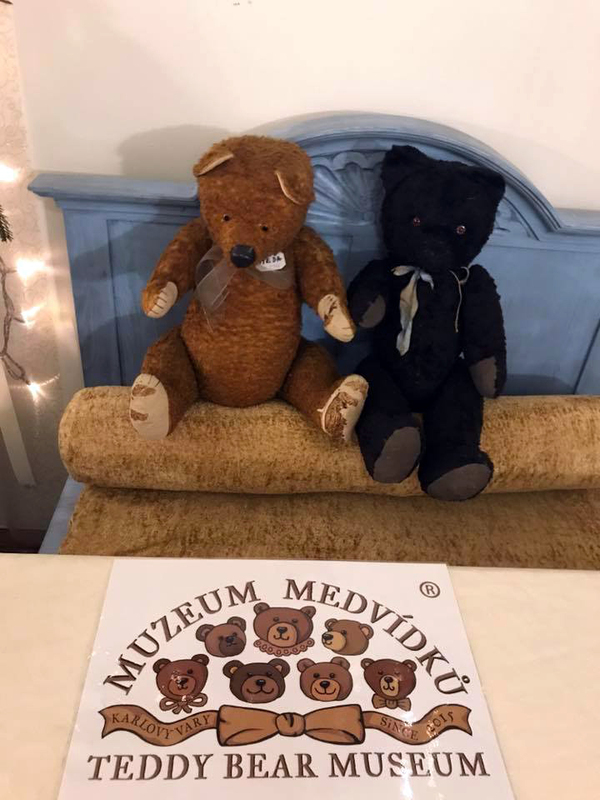 The museum is registered in the Czech Book of Records thanks to its two records, in the categories The biggest teddy bear 5m and The most teddy bears in an exposition. 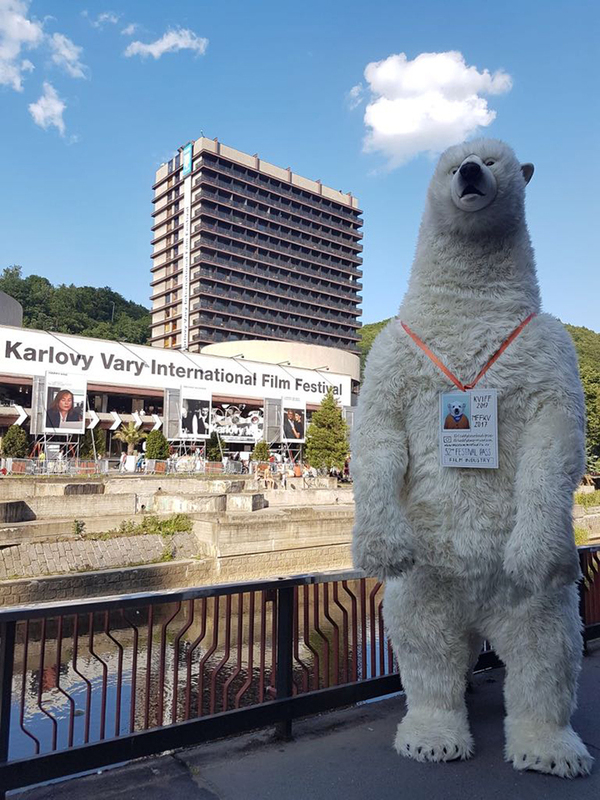 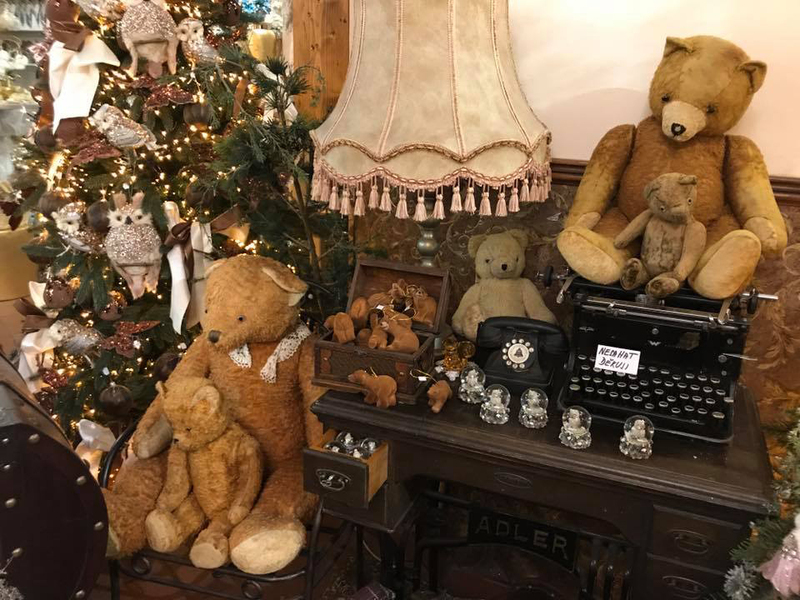 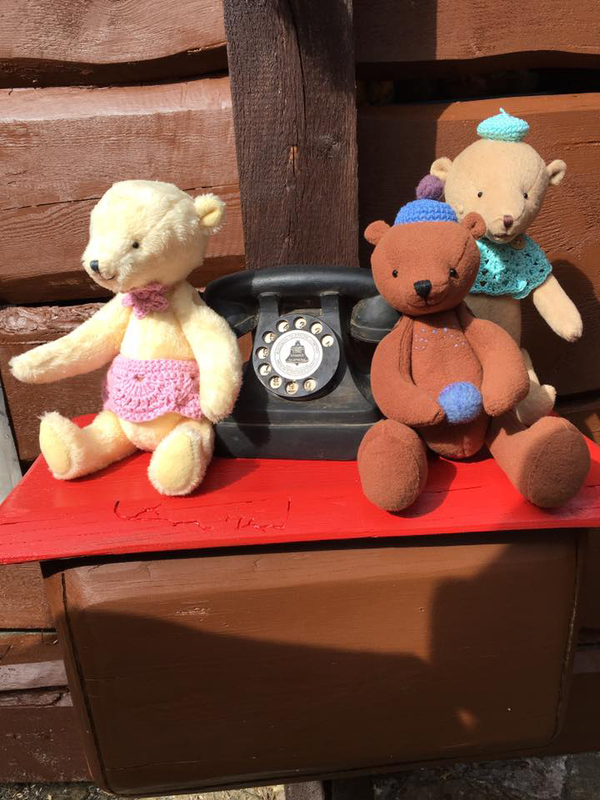 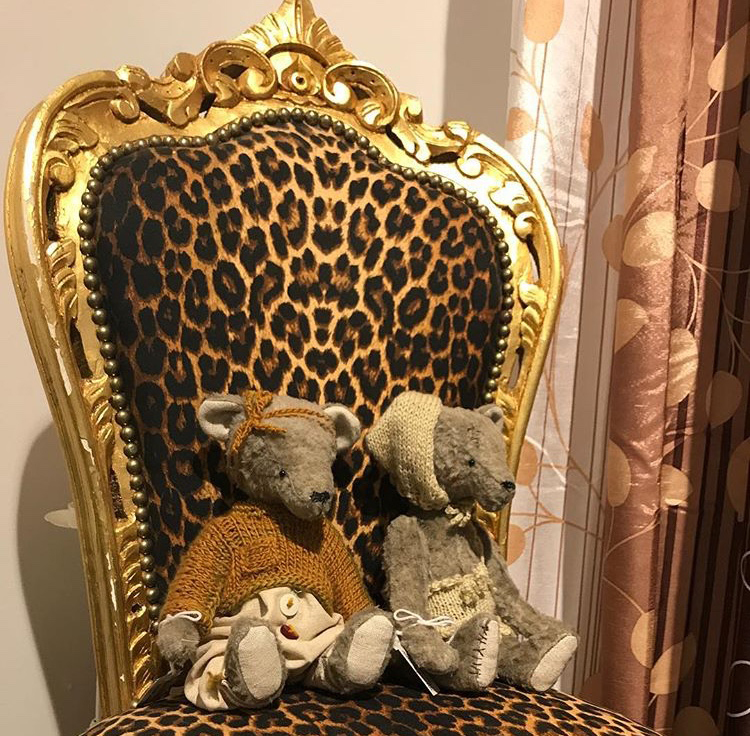 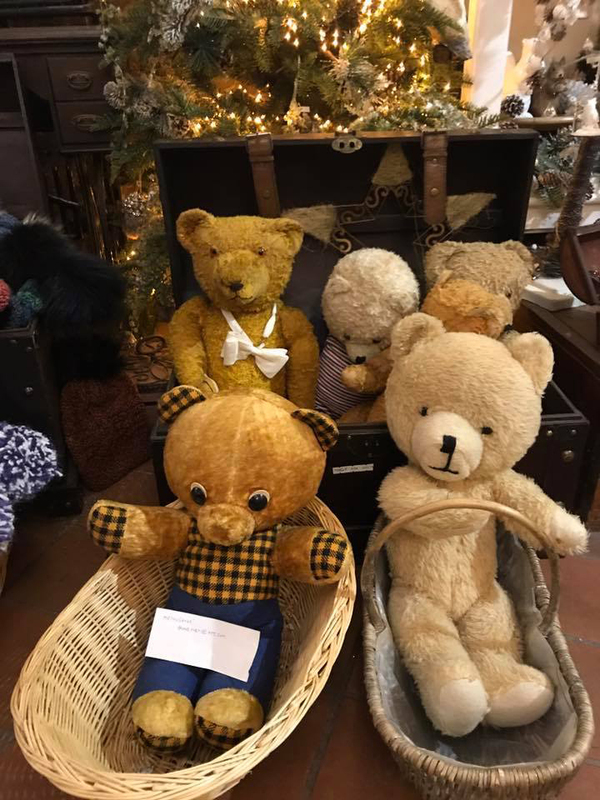 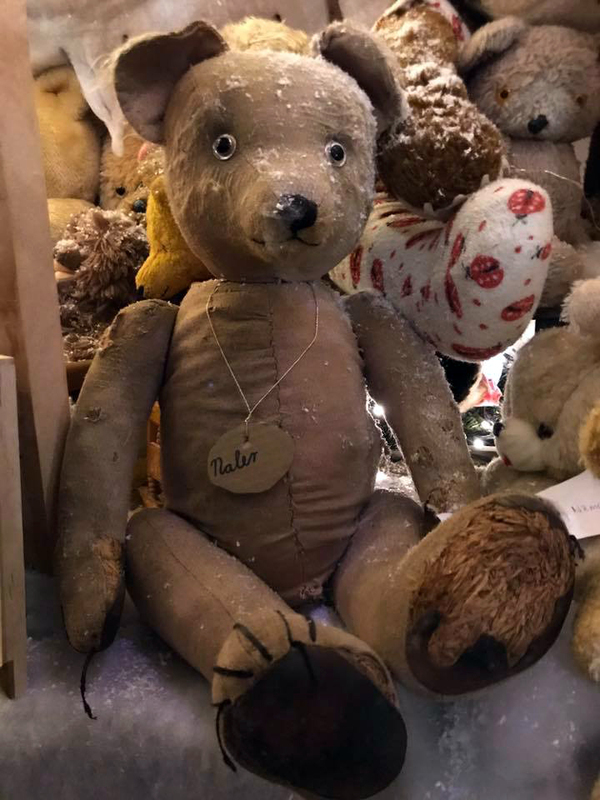 The owner and her family try to make the Christmas House and the Teddy Bear Museum in Karlovy Vary a venue where visitors come to get inspired and enjoy great experiences. 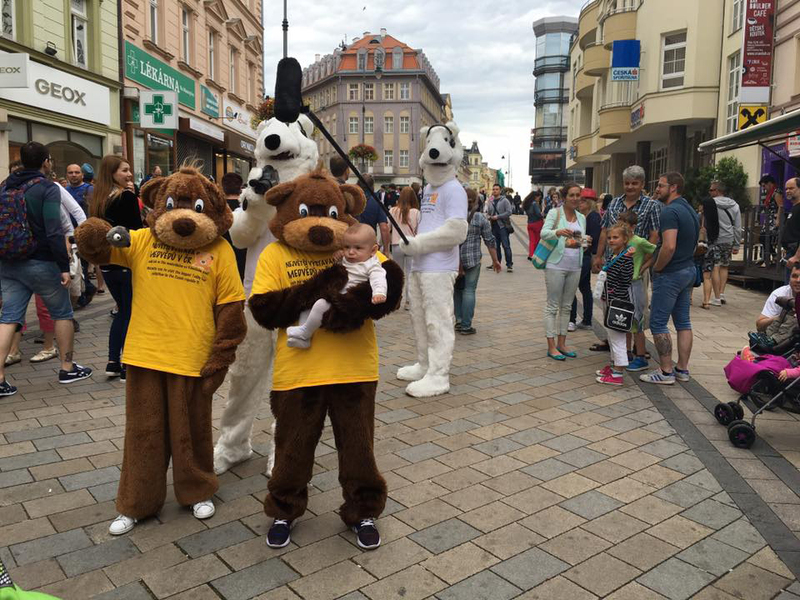 This is the main reason why she decided to organize the Teddy Bear Festival.